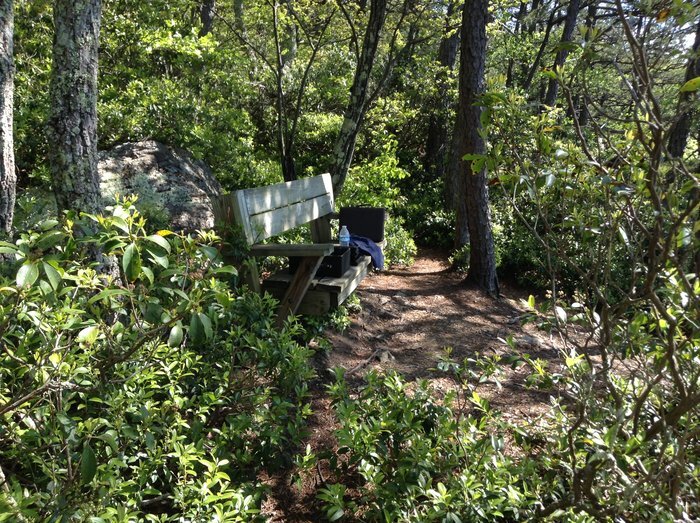 There is a nice bench, not quite a "normal" overlook as such there are a few accouterments. This is the view from my favorite spot. 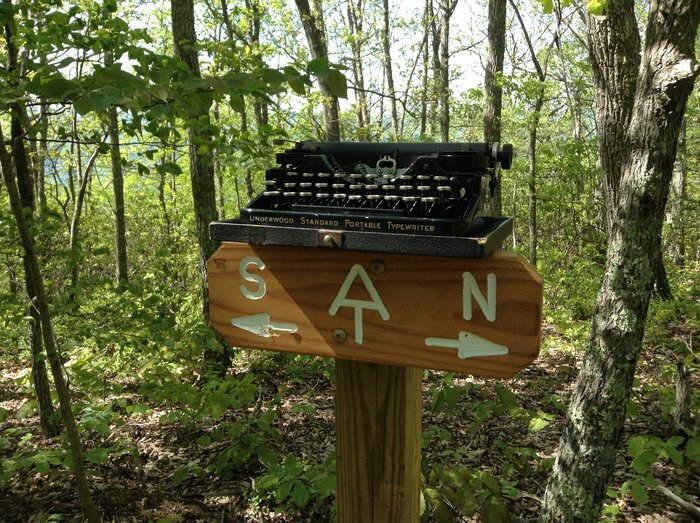 Hiked a typewriter up there the other day... maybe I will bring another in a backpack but I don't think I will ever carry another! Yours truly, the view from the bench looking outwards. I won't tell you where it is; I don't want it becoming a place of heavy foot traffic! But here is a hint that will narrow it down to a few thousand miles. 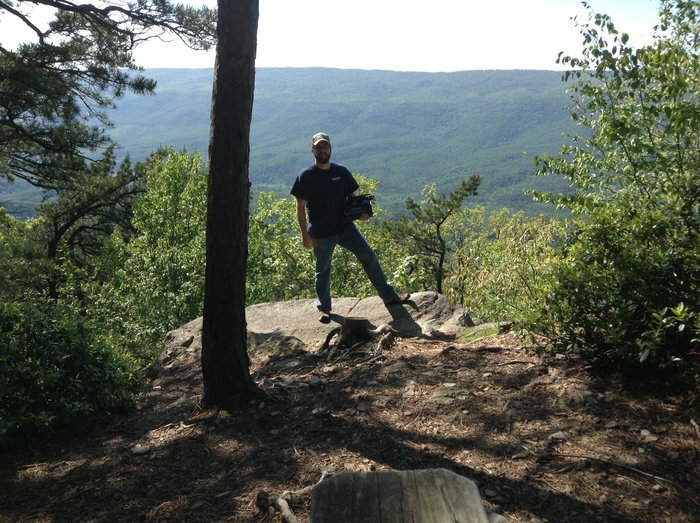 In some alternate universe in which I'm fitter than I've ever been, I hike the Appalachian Trail. Very beautiful place. The mountains are a great place for inspiration. I spent a lot of time on the A-Trail when I lived in VA. I probably passed through that area also. And the sound of the typewriter should serve as a warning for bears! My friend Ted thinks you need new signs. Or, possibly he doesn't... but maybe you should rethink your signs. Such a beautiful place it is, I simply love natural beauty this is definelty my next vacation spot. Looks really peacful and calm away from city.